Village Inn menu prices at your fingertips. Village Inn is a casual dining restaurant chain famous for serving buttermilk pancakes, omelets, and other breakfast items all day. Village Inn menu also includes other American favorites like chicken-fried steak, juicy burgers, sandwiches and salads. Below are the latest Village Inn menu prices. Free Slice Of Pie Every Wednesday! Guests looking for a unique fundraising option or employers looking for a great incentive, take a look at the Village Inn’s Sweet Returns® program. The program is simple and convenient plus the pies have been crowned The Best Pie in America®. Guests purchase Sweet Returns® cards at a discount, the cards are then sold to raise funds or provide incentives. Contact the restaurant manager at your local Village Inn location. Additional details can be found on the official Village Inn website. Being voted The Best Pie in America® is a great honor. Village Inn makes it easy to share their great tasting pies. Now guests can order their favorite tasting pies online and pick them up at their local Village Inn location. Village Inn pies are great for any occasion or just because. The gift of a great tasting pie. That’s what guests can offer their friends or loved ones when handing out Village Inn gift cards. Ordering is simple and can be accomplished online. Guest can purchase traditional gift cards that are mailed to recipient via postal service or guests can order e-gift cards which will be delivered to recipient’s email inbox instantly. At Village Inn, they celebrate the famous hump day by offering Free Pie Wednesday(TM). Guests receive a free slice of Double-Crust Fruit or Lemon Meringue pie with a dine-in purchase. Details are online or at the restaurant. Is it Wednesday yet? Guests that enjoy dining at the Village Inn and want to keep up-to-date with all the latest news, value deals, coupons, and new menu items can join the email club. Sign up is quick and free plus for joining, guests receive a coupon for a free slice of pie when they order an entree meal. You have to love the word FREE! For over 50 years, Village Inn has been employing talented, hard-working team members. That still continues today and candidates that are looking for a flexible career path that offers training programs, opportunities, and initiatives need to visit the Career page on the official Village Inn website. Potential candidates can learn the history and core values of Village Inn and browse current openings. The first Village Inn Pancake House was opened in Denver, Colorado in 1958 by James Mola & Merton Anderson. In 2009, American Blue Ribbon Holdings acquired the Village Inn chain of restaurants. There are currently over 200 Village Inn locations. The company headquarters is in Nashville, TN. Be sure to follow and connect with Village Inn through various social media platforms. 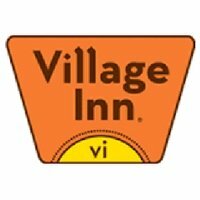 For more information about Village Inn, visit their official website. Do you serve oysters ? How much for a slice of pie and coffee?